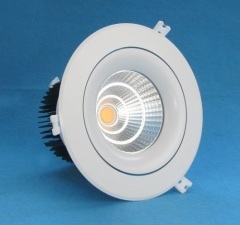 We are one of the professional China manufacturers work at TK Series LED downlights(LED ceiling fixtures). 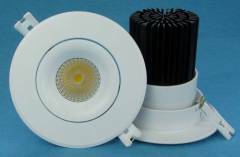 The following items are the relative products of the TK Series LED downlights, you can quickly find the TK Series LED downlights through the list. 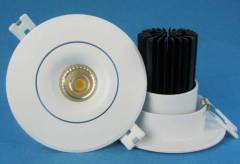 7W COB LED downlights come with 400-500LM, forged heatsink and 70mm cutout, 30 deg.beam angle, 35W halogen equivalent. 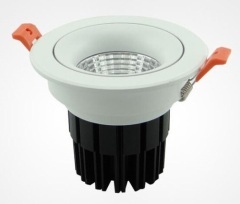 12W COB LED downlights come with forged heatsink and 700-800LM output, 90mm cutout, 15, 24, 38 and 60 deg. 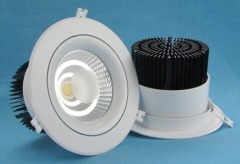 optional, 60W halogen equivalent. 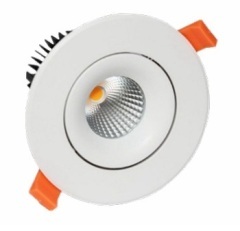 15W COB LED downlights come with forged heatsink and 800-900LM output, 90mm cutout, 15, 24, 38 and 60 deg. optional, 60W halogen equivalent. 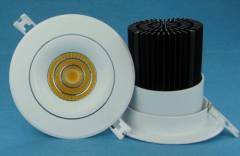 Group of TK Series LED downlights has been presented above, want more	TK Series LED downlights and LED ceiling fixtures, Please Contact Us.